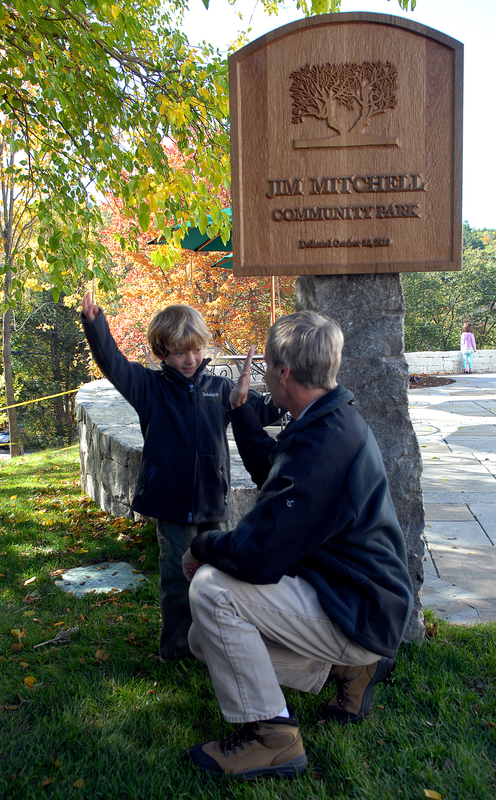 I created this sign for the Jim Mitchell Community Park in the village of Warner, New Hampshire. The tree shown is a White Mulberry which is the icon for the park. One of the largest examples of this species grows on the property. It was Jim Mitchell, co-founder of Main Street Bookends, who had the vision for the park and who passed away several years ago before his idea could become a reality. Pictured is Governor John Lynch (with his back to the camera) who was present at the dedication of the park in October 2010. Posted by mclceltic on July 18, 2011 in woodworking. Woodworker specializing in Celtic designs.